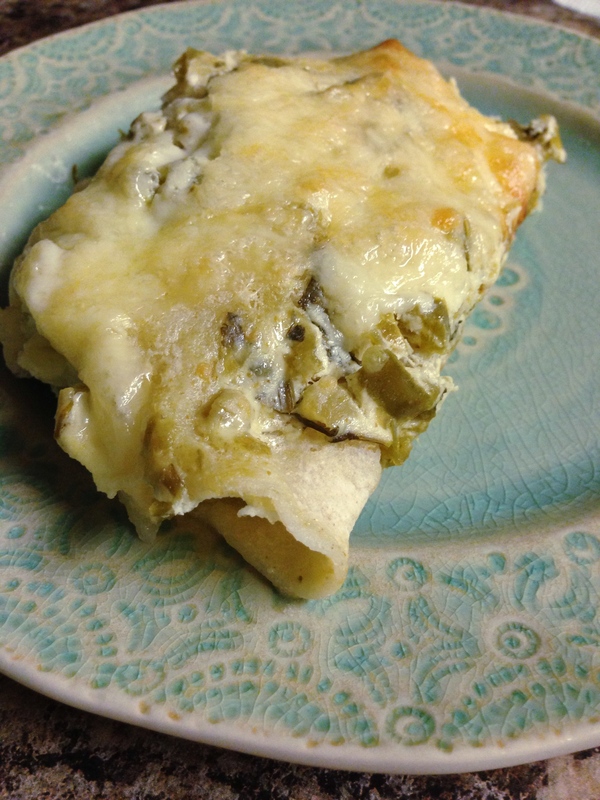 This enchilada recipe is my favorite recipe ever. I love a good Mexican or Southwestern recipe and this one is so simple! The creamy salsa verde sauce is made with only 3 ingredients, it’s quick, easy, and so delicious! This is actually the very first recipe that I blogged… I wanted to share it again, for anyone who might have missed it the first time around. You seriously need to try it, it’ll change your life. You can cook the chicken for this recipe however you’d like, my personal favorite is cooking it on low in a slow cooker. The chicken comes out so tender, perfect for shredding and using in recipes like this! And if you often cook with cilantro and other herbs, I recommend that you invest in a pair of herb scissors. They make herb chopping a breeze! Preheat oven to 350°. 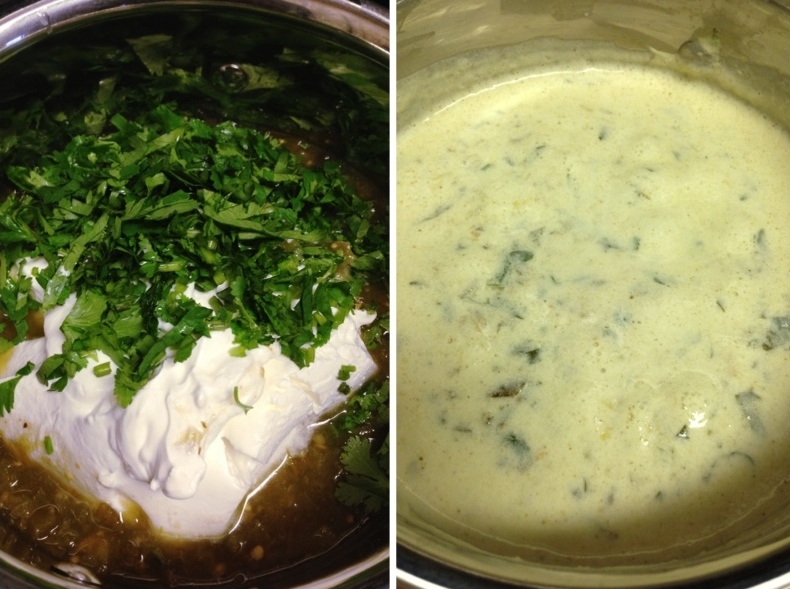 In a small saucepan combine salsa, sour cream, and cilantro. Let sauce simmer over low heat for 5-10 minutes, stirring occasionally. 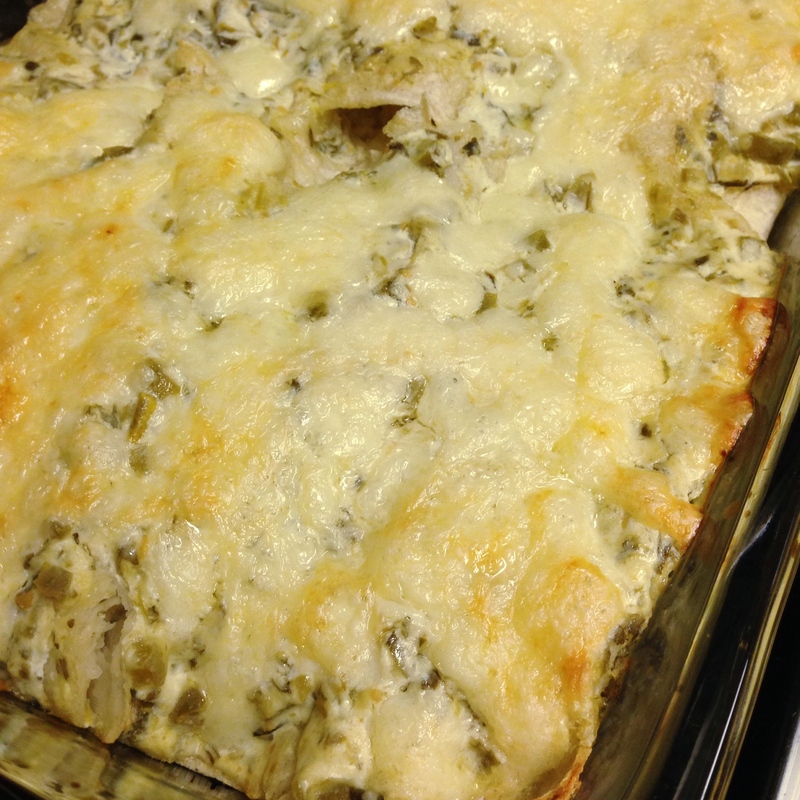 Sauce may appear thin, but will thicken as enchiladas bake. 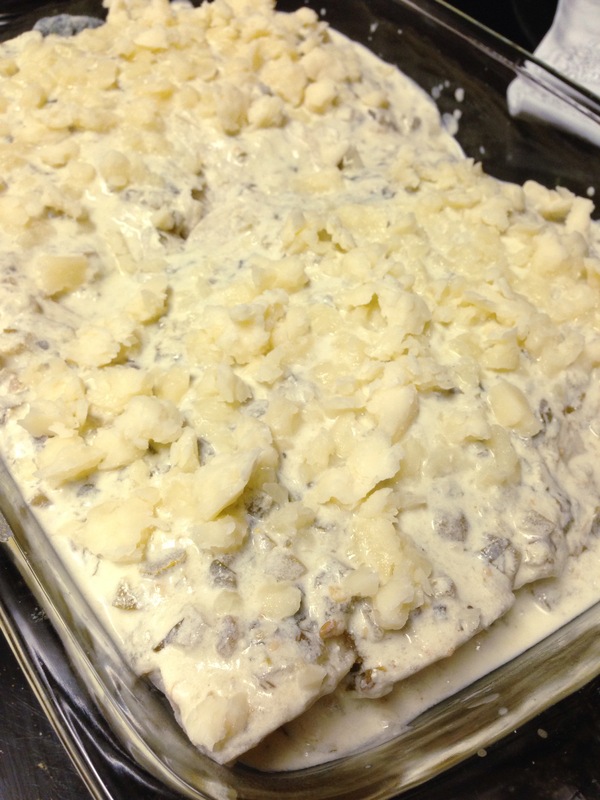 Spread a thin layer of the sauce on the bottom of a 9×13 casserole dish. Now assemble your enchiladas! Place some chicken and spoonful of sauce into each tortilla. Roll and place in dish. When all enchiladas are rolled, pour remaining sauce over them and top with cheese. Bake uncovered for 30 minutes (or until sauce is bubbly and cheese has melted). Try serving this dish along with my light and fresh Corn and Black Bean Salsa. Enjoy! Thank you, I hope you get a chance try it! These enchiladas were awesome. I used a little less of everything since I was only cooking for two and they came out perfect! I also cooked the chicken in a little buffalo sauce (buffalo obsessed):-). Made great left overs as well. Will be making on a regular basis ! That sounds delicious, I’m so glad that you liked it! Thanks for commenting Christy! 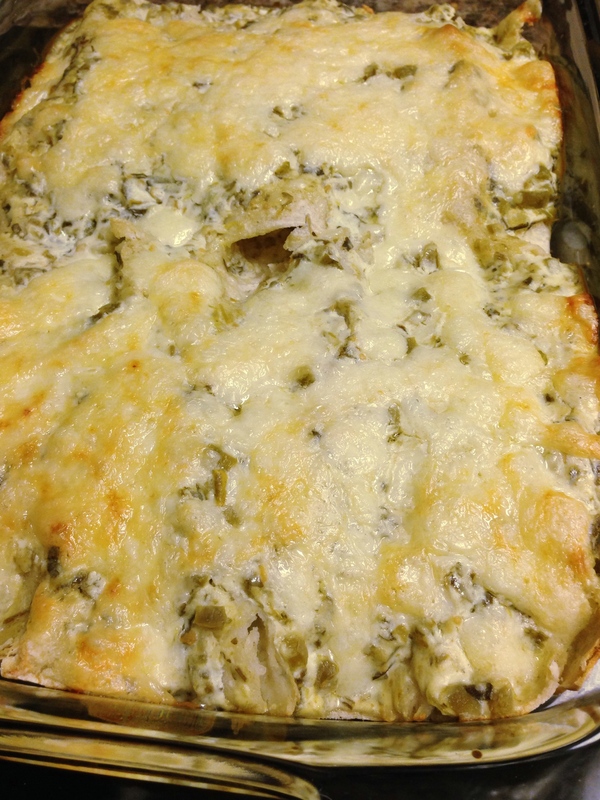 Hi – I’m new to cooking enchiladas. Do you use flour or corn tortillas? I’ve used both for this recipe. Flour tortillas are my favorite! Corn tortillas are probably more traditional and healthier, but a little harder to work with (they can be sort of dry and sometimes crack and split when I’m rolling enchiladas). Using tongs, you can briefly dip each corn tortilla into the salsa verde/sour cream sauce after it is heated, and still in the saucepan. The tortillas become more pliable for filling and rolling. If needed, you can also secure each enchilada with a wooden toothpick before covering with the sauce. When finished baking, just remember to remove the toothpicks after plating and before serving! So glad to see a recPie that isn’t using canned soup! Love the slow cooker idea!